Follow the current happenings! 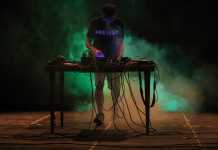 This article gives a preview of top selected events in Bratislava. PS: If you want to receive more tips on events happening during your visit, according to your preferences – be it music style for parties, cultural events and exhibitions, networking gatherings or live concerts – click here. You can look forward to folk crafts, a rich selection of Easter souvenirs and majolica products. 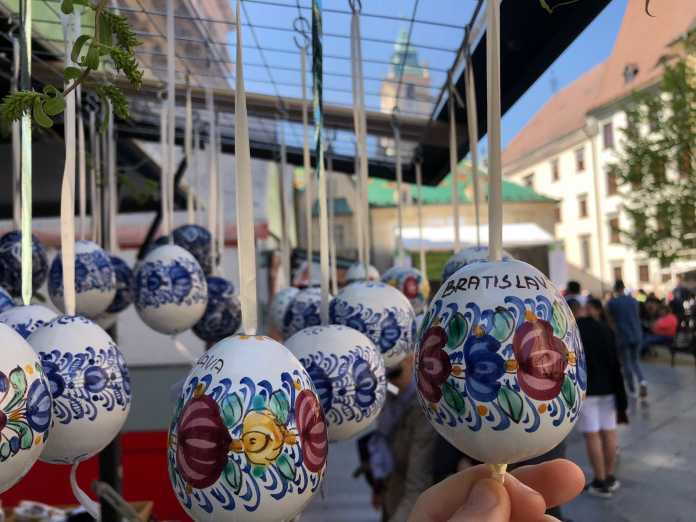 Your taste buds will be delighted by Bratislava rolls, strudel, cheese specialties, traditional potato pancakes, venison, Slovak wines and much more. More info. Come along and celebrate Easter and the beginning of spring at this Kid’s Easter Art and crafts Day! 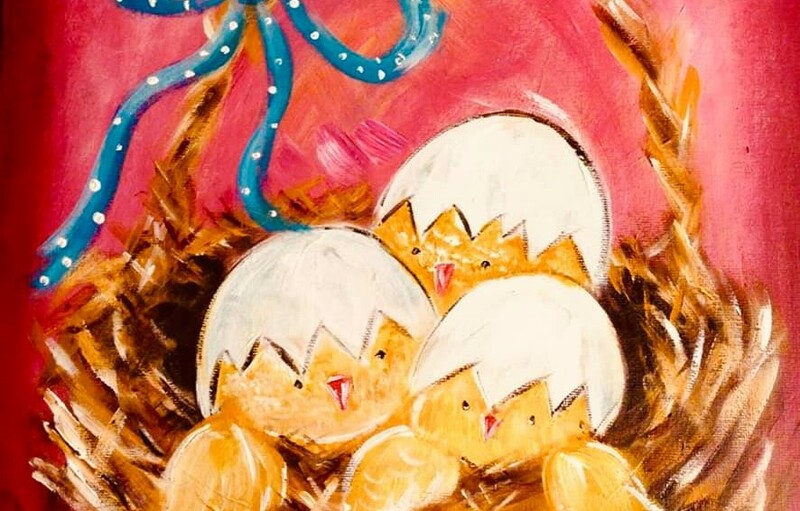 You will be painting a beautiful Easter themed canvas, decorating eggs and enjoying some spring art activities. Read more here. It´s a Salsa time! La Bomba Club is a place where you can experience a unique atmosphere full of vibrant energy and rhythm with the most popular Latin music and dance styles. They guarantee that you and your friends will definitely not leave without a lot of exciting emotional experiences. FB event. 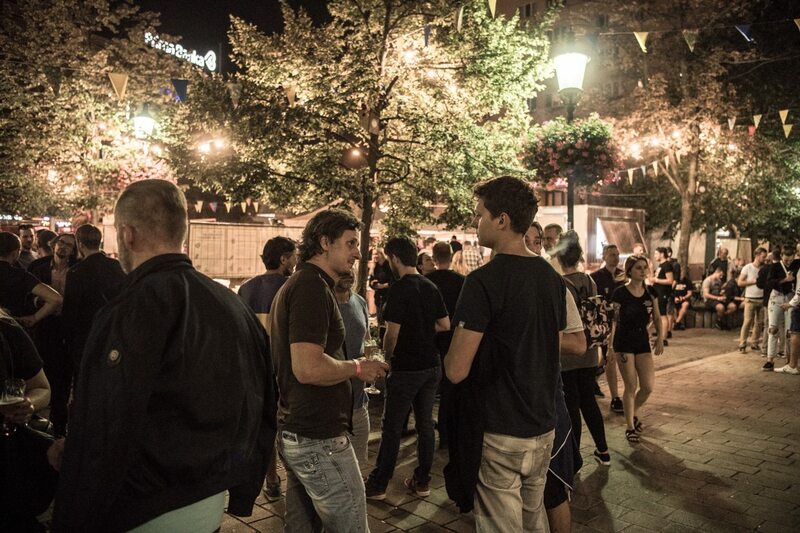 Craft Beer Festival will take place in the Old Market Hall in Bratislava. Traditionally, you may look forward to fantastic atmosphere, plenty of small breweries, tasting from special glasses and discussion with its makers, possibly distributors. 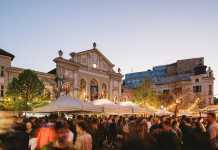 During the festival you will also have an opportunity to visit well-known Street Food Park on the square right before the Old Market Hall, known for tasty food and great atmosphere. FB event. Street Food Park 24.4. – 27.4. 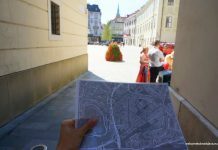 Join the most popular Street Food Park in Bratislava, for yummy meals, drinks and good vibes in front of the Old Market Hall. The event supports ZERO WASTE, therefore during the event, all the dishes and cups will be biodegradable and should be properly separated. FB event. The days of open Bratislava city doors are an integral part of the modern history. This year, there will be dozens of events of its municipal organizations. 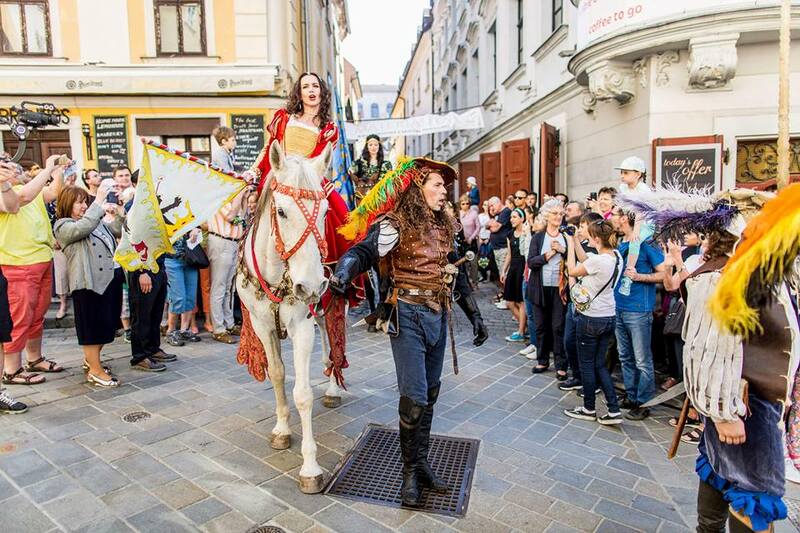 Bratislava City Days will once again introduce an attractive weekend in the city, in its cultural organizations, at the squares, but also in the nearby countryside. Full programme and FB event. 90s Party at KC Dunaj 26.4. Nirvana, Oasis, The Red Hot Chilli Peppers, Radiohead, Pearl Jam and other legends that will get you and your friends in the right mood. Enjoy the night in a company of time-tested music, legendary games, period decorations and unforgettable delicacies. FB event. A regular event, the Antique Exchange at Červený Kameň Castle will be held again this Saturday. Come and find the piece that will make your apartment, house or garden look stunning! FB event. 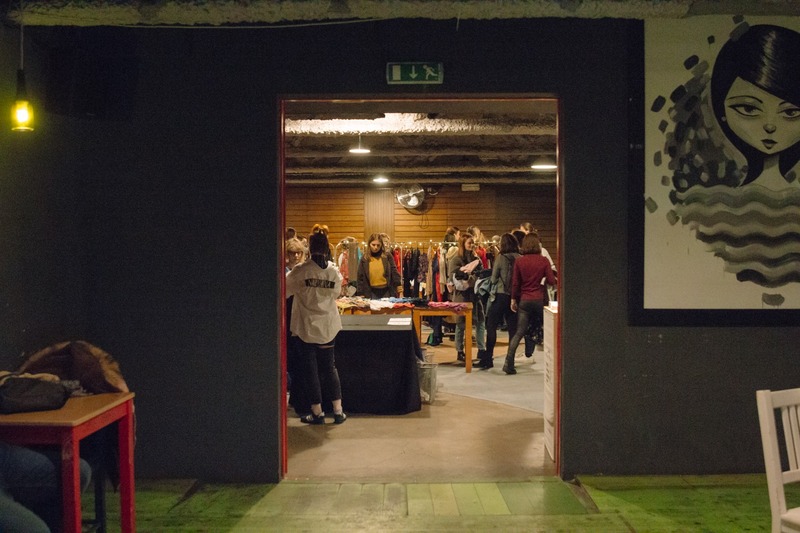 The Good Market / Dobrý trh 27.4. Enjoy a pleasant day at Jakubovo Square, where this well-known market takes place. Lots of fun, friends but also a good chance to do your weekend shopping. This event supports ZERO WASTE and therefore, the sellers at Good Market are carefully selected according to strict criteria. FB event. SWAP at KC Dunaj 28.4. SWAP is one of the alternative ways of getting “new” things. By regularly organizing SWAPs, we give the public the opportunity to try alternative ways of shopping when looking for dream pieces instead of visiting the regular stores. FB event. A one-day festival where classical music merges with other genres and provocative dramaturgical projects. Old jazz with classical organ, Slovak world music, Béla Bartók in various ways but also Johann Sebastian Bach on saxophone and a unique instrument called milanolo. Tickets and more info. NOTE: Some of the featured pictures come from the Facebook pages of the mentioned events.